New Britain is an island of Papua New Guinea that is smoking hot and full of volcanoes. 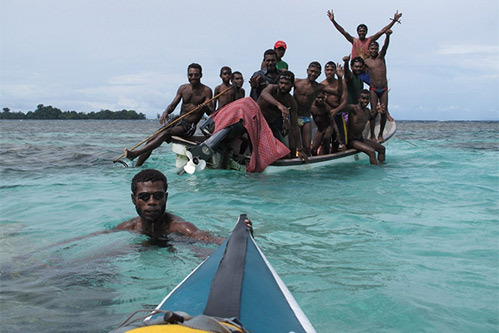 In 2013 Expedition Class paddled from Kimbe in West New Britain to Rabaul in East New Britain. We found extinct, dormant and active volcanoes during the month long coastal exploration by fold-up sea kayak.